As the holiday season arrives, I take a moment to refresh my mental arsenal of go-to funny picture books, because at this time of year in our store, funny stories simply fly. 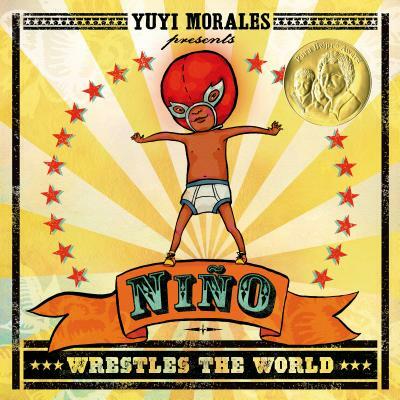 We certainly sell plenty of luminous, moving, and heartfelt picture books in December, but invariably the bestselling picture book from our holiday catalog each year has been funny—books like The Bad Seed, Lion Lessons, The Princess and the Pony, Unicorn Thinks He’s Pretty Great, or Niño Wrestles the World. And of course there’s always and forever Bark, George. Funny books often offer irresistible, bite-sized “hooks,” and they’re a safe bet with a broad swath of kids. I totally get it. Unlike my oldest son who has always wanted to listen to any book someone was willing to read him, my youngest honestly tends to wander off part of the way through unless something captivates him early on with a dramatic twist, interactive element, or hilarious surprise. Taking a story from clever and amusing to guffaw-inducing hilarious in 32 or 40 pages is not an easy task, though. Kids love surprises, but they also love surprises that they can almost—but not exactly—predict. After all, who doesn’t like being in on the joke? 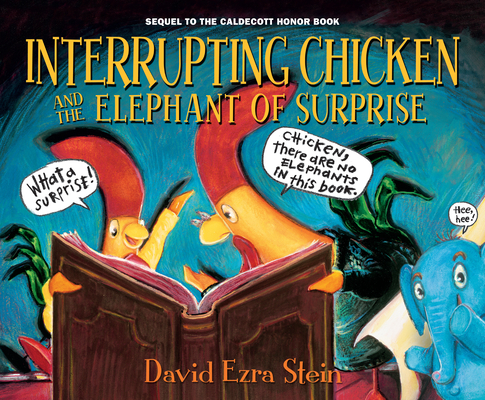 Interrupting Chicken and The Elephant of Surprise has to be a candidate for funniest read-aloud based on its brilliantly abrupt tonal shifts. How can you not laugh with escalating hilarity each time the elephant pops his exuberant blue head into a fairy tale to gleefully make everything about itself? All the elephant’s disruptions are pretty terrific, but the “elephant legs” twist to The Little Mermaid never gets less funny to me, no matter how many times I read it. Max the Brave isn’t new. But it came out in board book last year, and it has been a perfect match of story and format. You see, Max is an adorable kitten with an adorable pink bow. Until SURPRISE!, the elephant snatches it off his neck and tramples it. Oh wait, wrong story. The KITTEN stomps the bow into tatters and determines to prove his mettle in a seriously silly montage of mistaken identity moments culminating in an ill-advised romp on a monster’s head. (“Jumping on a monster’s head isn’t a good idea,” as my four-year-old reminds me every time we hit that page). Although it won’t help for the holidays, I have to add that if you’re looking for a killer laugh line, get your hands on a copy of How to Walk an Ant by Cindy Derby (Roaring Brook Press, March 2019). “Wanna get some ice cream then have a funeral?” was the best one-liner I read all season. I won’t say much more about that, though, because you should really just read it for yourself. Trust me! This entry was posted in Uncategorized on December 7, 2018 by Meghan Dietsche Goel.